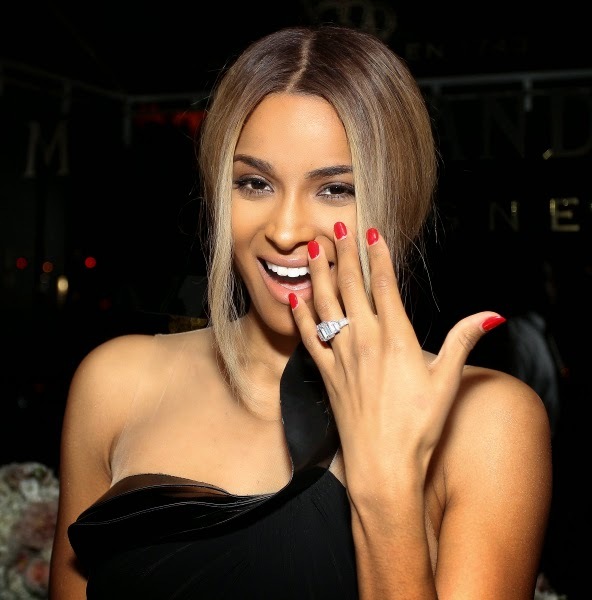 Oby's Blog: Ciara Returns $500K Engagement Ring to Future | Would You? Ciara Returns $500K Engagement Ring to Future | Would You? We all ‘ooh’-ed and ‘ahh’-ed when Ciara showed off her 15 carat engagement ring! Now amidst allegations of cheating, Page Six reports that the singer returned the ring to the father of her only child, who she gave his stage name, ‘Future’. 4th woman to have a baby for him. Hmm…Would you give back your engagement ring (and other gifts) if things don’t work out?